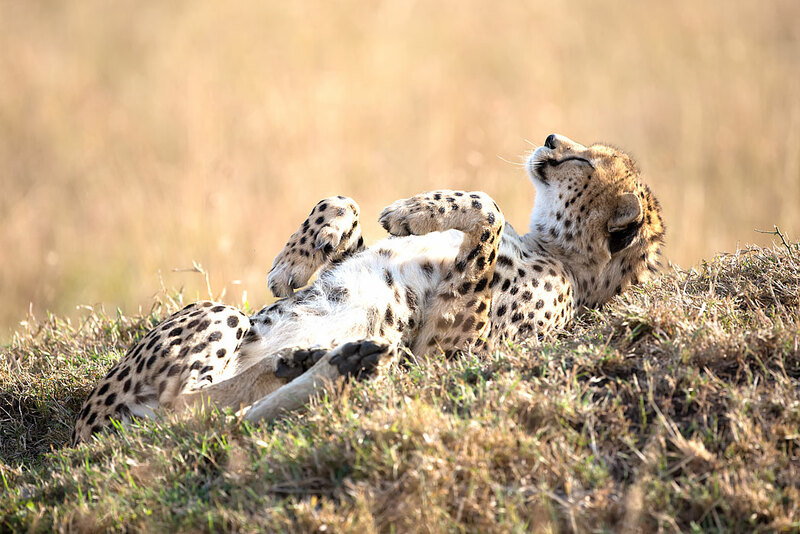 This day is a transition day as we move from Lewa House in Lewa Wildlife Conservancy to Ngare Serian in the Mara North Conservancy. We do so with a blend of excitement and a bit of sadness. 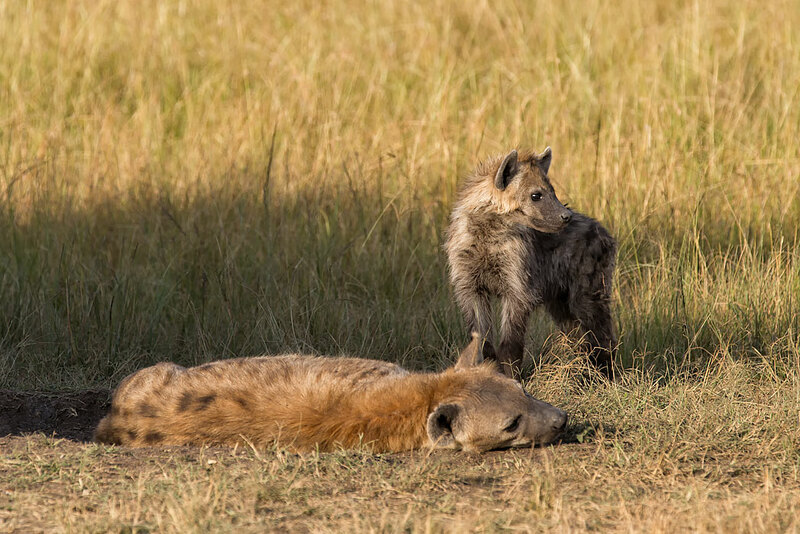 Our time at Lewa has been wonderful with all the great game sightings not the least of which were the several endangered species that you can find flourishing there. 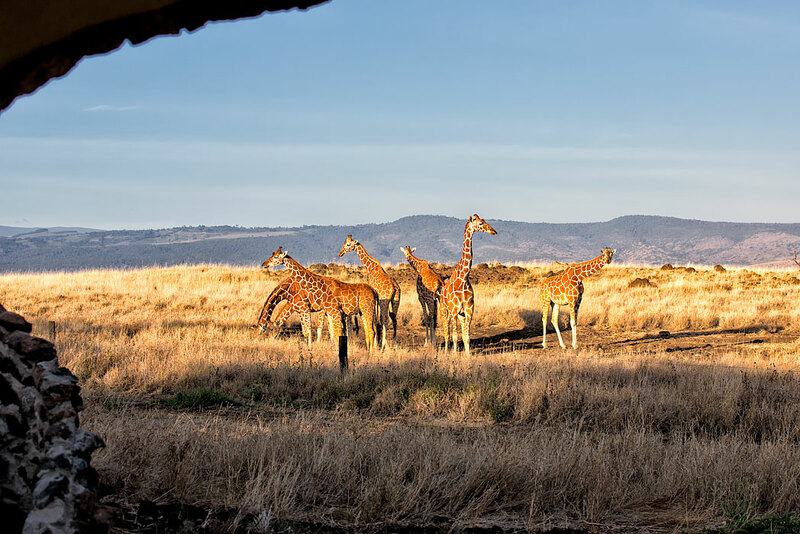 We also were heartened by the vision and conservation of the Lewa Wildlife Conservancy which has served as a model for so many places in Africa. 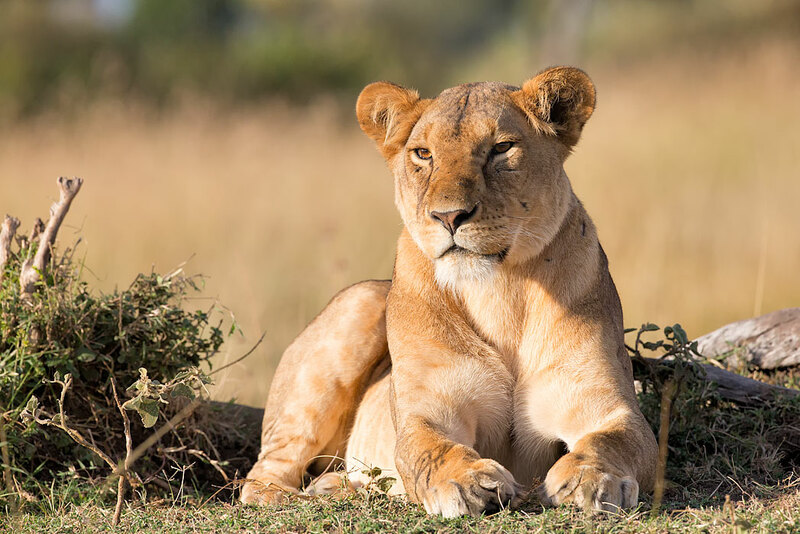 More information on the Lewa Wildlife Conservancy and their conservation efforts can be found at http://www.lewa.org/all-about-lewa/. 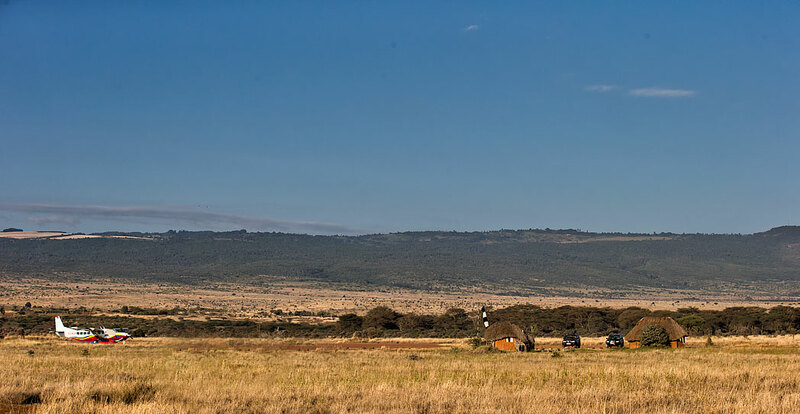 Our accommodations were at Lewa House, owned and operated by Calum and Sophie Macfarlane(who is the granddaughter of David Craig, the man who had the vision to “always have a place for wildlife”). The cottages are permanent, spacious buildings constructed out of natural materials that blend very well with the landscape. Currently, they are expanding the facility with additional cottages, rooms for their staff and a new facility for the Macfarlane’s young family of four. The cottages are very comfortable, well appointed and in our case offer spectacular views of wildlife right out the window. Our room, dubbed the “waterhole”, overlooked what must have been an old water trough or hole from the days of cattle ranching. Clearly the game knew of its location as there was a constant stream of giraffes, zebras and antelopes coming to take a sip. Especially nice was the fact that as we were walking out of the cottage for the last time, 7 (which grew to 10) reticulated giraffes came to say goodbye right off our back porch. An amazing sendoff to say the least! 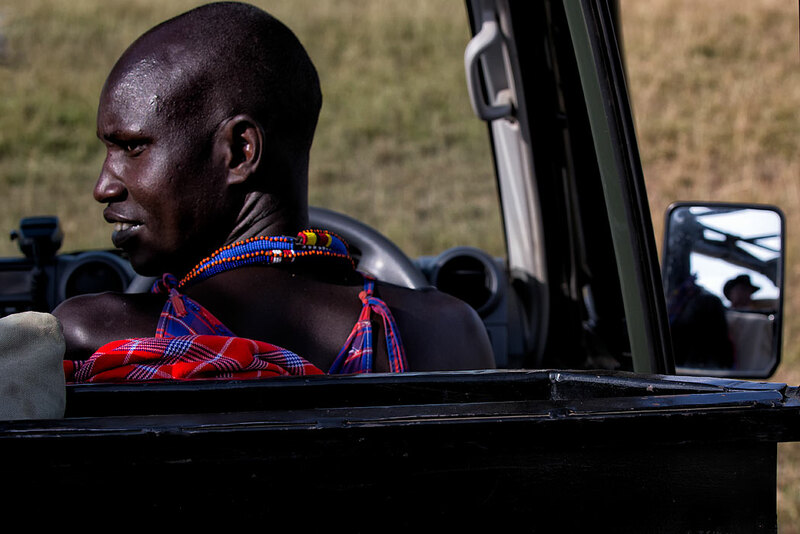 Our guide Joseph, is a neat and multi talented person who made the game drives pure joy. He also is a photographer which helped him get us the best possible angle for our photos. Of course, we will never forget the tracking he did of the cheetah sisters to such a long distance away. Clearly he is a master tracker. Also the staff at the relatively new Lewa House could not have delivered better service. We especially enjoyed the interactions there with Simon and others that seemed as curious about us as we were with them. I am not sure if we helped Simon learn anything useful, but greatly appreciated his tutelage on learning a bit of Swahili! 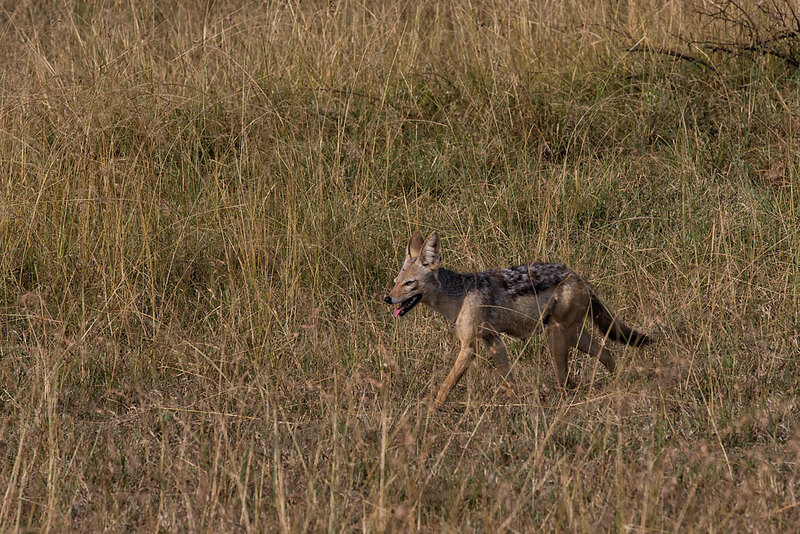 As we fly into the Mara North Conservancy, our adrenaline starts spiking again. Soon we will be making new memories at a new camp, in a different topography and under different conditions. 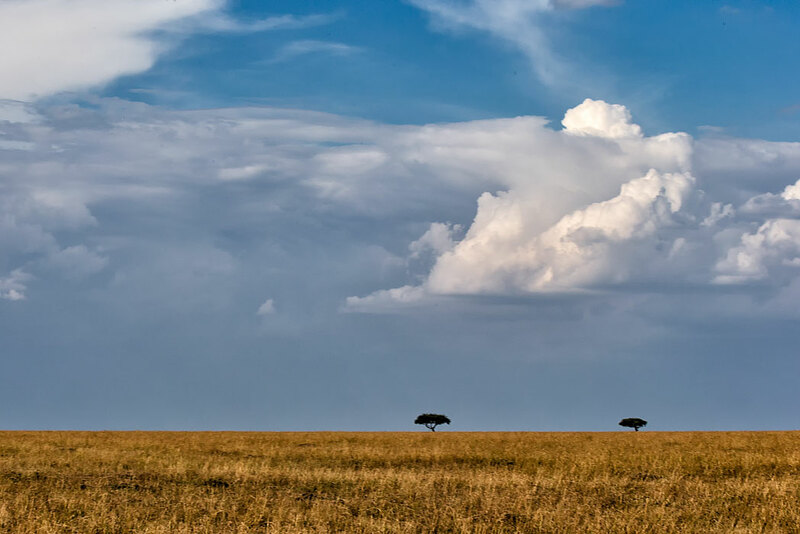 The Mara North Conservancy is part of the Masai Mara ecosystem and is a non-profit organization made up of eleven member camps and 800 Maasai landowners. More information on this conservancy can be found at http://www.maranorth.org/. We also know that we are moving every closer to hopefully one of the wondrous wildebeest great migrations! Upon landing, it does not take long to realize that things are about to change. Not just a new area, camp, guides and such, but the weather might be building to a wet change in this dry season. Our new spotter Dominick and driver Dennis pick us up and we decide to have a short game drive on the way to the camp. Of course being mid afternoon, the light is not best but we decide to go for it. Besides most of the cats and other animals will be trying to sleep in the shade anyway. Alex Walker’s camps modified the vehicles per our request by taking out the front row of seats in the landcruisers. This is an idea that had been suggested to us by Roger Clark, a well known nature and astro photographer. Turned out to be a brilliant idea as it gave us substantially more room but most importantly would allow us to shoot from a lower point of view when warranted. I can tell you there is not much more thrilling than shooting a lion from their eye level! This lioness stirs from her slumber. We see her later hunting at dusk! Dominick and Dennis also had put in a small pad for us to kneel on if necessary. This worked very well as we were able to not only use it as planned but worked very well to cushion the cameras as we moved around on the somewhat bumpy roads. Another great day in the bush with too many sightings to mention. By now we are quite tired, ready for a shower and a fine meal. In fact, little did we know that tonight, we would dine on grilled fish that would have made any of the world class chef’s in dear ole New Orleans proud to serve. 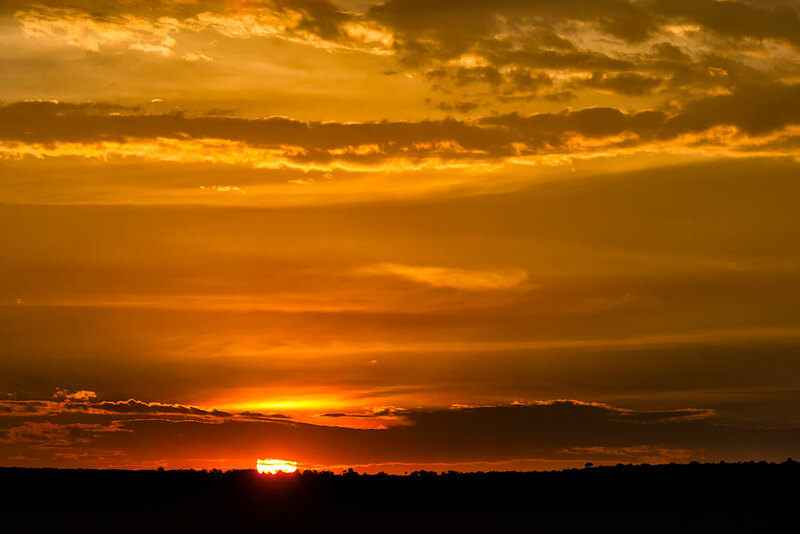 A beautiful end to another perfect day in the bush! “there is not much more thrilling than shooting a lion from their eye level!” – This reminds me of the wistfully-delivered, “I love the smell of napalm in the morning…” Didn’t realize you were eating fried cats out there, too. Thanks for another wonderful post. Love the details and the pics.